You want to buy a house and you've started looking at homes for sale! Athens GA is an ideal location for buying a home! Congratulations on taking a big step that will positively affect the rest of your life. That's no exaggeration. Purchasing a home has been found to be the largest source of investment for people in the United States. Unlike most purchases, buying a home is a complicated process. It is the largest financial commitment that most people ever make. It only makes sense then, that you seek guidance from someone who has been through the process multiple times. Southeast Realty Brokers have that home buying experience, and we are glad that you have found us. We are passionate about helping people find the perfect home, whether you are a first time home buyer, moving up to fit an expanding family, purchasing a getaway home at the lake or down sizing to spend more time traveling and less time maintaining a home. The process of purchasing a home in the Athens area can be overwhelming. It might seem like there are a million details, but we want to encourage you to not let the thought of those details keep you from fulfilling a dream...what some people call "The Dream" of home ownership. Our real estate professionals at Southeast Realty Brokers can take that pressure off of you when you delegate the details to us. Of course, you'll have access to our advanced systems and our experience, but you'll also enjoy working with someone who might end up becoming your friend...that has happened with many of our Athens clients. The best time to get started is now, but we will work at your pace. If you have just started looking for homes for sales in the Athens area and hope to be in a home within a couple of years, we'll work with you over that period of time and will be here for you as you work towards that goal. On the other hand, if you are starting a new job in a few weeks and absolutely must find a Athens home immediately, we can handle that too. What Does A Buyer Pay In Commission? Nothing!! Before going any further, let's address a question that almost always concerns our first-time home buyers, and that is: What is it going to cost for our home buying service? The answer may sound too good to be true, but as a buyer, you are not responsible for paying our commission! The buyer only pays a very, very reasonable administrative fee...nothing like the thousands of dollars that a seller will pay in commission. Here's how it works. A listing real estate agent agrees to market a seller's property. The seller agrees to pay that agent a commission when the house is sold. In turn, the agent that listed the property agrees to split his/her commission with any agent that represents a buyer should that buyer decide to purchase the seller's home. So, as a buyer, you get the best of both worlds...your own representation (extremely important), but also the benefit of not paying a commission to the real estate agent. Now that we have that out of the way, there is no reason to not begin exploring further homes for sale in Athens GA. We have tried to answer many questions that buyers often have in our FAQ section. Please visit there next for more in-depth information, or contact us to begin a conversation about how we can assist you with your dream. Frequently Asked Questions About Buying A Home. Need Gas Service for Your New Home? 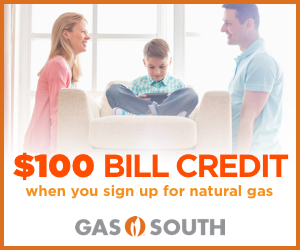 Would you like $100 off of your gas bill? No deposit on your gas service? Free Tickets to Popular Attractions? Another great reason to work with Southeast Realty Brokers when buying your new home! Avoid A Big Breakdown Bill! You just purchased a home. Everything is going great, and you are loving life. The last thing you need is a big bill from an unexpected breakdown. Don't worry, we've got you covered. One of our preferred partners is HWA (Home Warranty of America). Take a look here to find out more about how we can help you avoid major bills after your purchase.